'...quantum theory is purely mathematical and has no connection between cause and effect. ... It is a probabilistic theory. Einstein was unhappy with quantum theory because of its probabilistic nature. So it is no surprise that quantum theory and relativity theory are incompatible. Neither Einstein's relativity nor quantum mechanics are physics so we cannot use them as a foundation for our new model (although we should find that the mathematics that works in the real world still applies). We have to discard "modern" physics and return to the classical physics of a century ago. This, perhaps, is the greatest hurdle – to discard our training and prejudices and to approach the problem with a beginner's mind. "Ideas needed: The hunt for a theory of everything is going nowhere fast." It underlines the parlous state of theoretical physics in its inability to reconcile relativity and quantum theory and so find what is grandly called a "theory of everything." >>Until we have a sensible theory that can explain the natural spiral shape of galaxies without invoking unseen matter and strange forces, we have no right to claim we have the ability to deduce a "theory of everything." It has been said that the human talent for self-delusion is our most highly developed faculty. The very notion that some scientists are within grasp of a "theory of everything" is a fantasy on a par with the flat Earth theory. It is not possible to have a theory of everything until we know everything about the universe. And given the almost continual surprises from space, we evidently know very little. However, we will continue to use the term within its limited scope as a mathematical game, attempting to reconcile the irreconcilable. Physics' greatest endeavour has ground to a halt. We are in "a period of utter confusion", said Nobel laureate David Gross [above], summing up last week's prestigious Solvay conference on the quantum structure of space and time. That is worrying because the topic is central to finding a "theory of everything" that will describe every force and particle in nature. Einstein's relativity, which reigned supreme for a century, is a flawed basis for such a theory. Although it deals with gravity, it tells us nothing else about the nature and interactions of matter. Crucially, general relativity is incompatible with quantum theory. Since the 1960s, theorists have struggled to solve this problem, so far to no avail. And the trouble is we have nothing to put in relativity's place. The great hope, string theory, which views particles as emanating from minuscule strings, has generated myriad mathematical descriptions linked to the dance of particles. But these equations tell us nothing about where space and time come from and describe nothing we would recognise. At best, string theory depicts the way particles might interact in a collection of hypothetical universes. For decades, string theorists have been excused from testing their ideas against experimental results. When astronomers discovered the accelerating expansion of the universe, which string theory fails to account for, many string theorists took shelter in a remarkable excuse: that their equations describe all possible universes and should not be tied to matching data in just one of them. But when the theory does not match the one data set we have, is it science? There is a joke circulating on physics blogs: that we can, after all, call our universe unique. Why? Because it is the only one that string theory cannot describe. Should we laugh or cry? There is a growing feeling that string theory has run into the sand. Gross thinks we are missing something fundamental. We need a leap in understanding, though where it will come from is not clear. Many of the greatest minds in physics were there at last week's conference, and none had an answer. We are approaching the end of Einstein's centennial year - a celebration of physics. While some lesser-known areas of the subject are flourishing, the search for a theory of everything is in a sorry state. Unless string theory gets a radical shake-up, gifted but frustrated minds will begin to drift into other areas of science. A theory of everything must underpin cosmology, the "queen of the sciences" as it has been called. 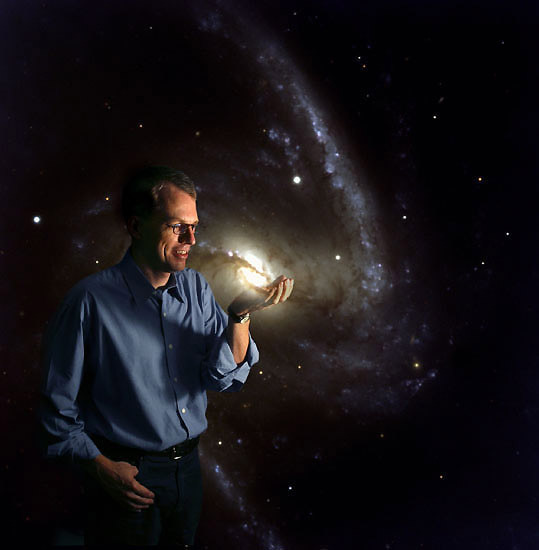 Cosmology is supposed to provide the story of "life, the universe, and everything." It should provide a seamless big picture that encompasses all our knowledge from the subatomic to the galactic. If it is wrong, the view of our place in the universe may be more warped than that of the flat-Earth era. Our present cosmology is known as "the big bang" theory. It grew out of the assumption that the redshift of faint objects in deep space is due to the Doppler effect of their recession from us. Extrapolating these velocities backward gave an origin in time and gave rise to the concept of the universe having been created in a primeval explosion. Einstein wrote equations that attempted to describe the behaviour of this expanding universe. His equations pointed to its probable instability. Gravitation was either strong enough to counteract its expansion or too weak to prevent its expansion forever. "In spite of the fact that we call it the big bang theory, it tells us absolutely nothing about the big bang. It doesn't tell us what banged, why it banged, or what caused it to bang. It doesn't allow us to predict the conditions immediately after the bang." – Alan Guth in the BBC Horizon program, Parallel Universes. At the other extreme of scale is quantum theory, which describes the behavior of subatomic particles. But the theories of gravity and quantum behavior are incompatible. "String theory" was supposed to provide a theory of everything by unifying the incompatible theories of relativity and quantum mechanics. The problem is that there is not just one string theory, there are many. Now the push is on to develop "M Theory," which means the "Mother of all Theories!" This endeavor would be comical if it weren't so costly and misguided. The ill effects of such nonsense have spread throughout western science and culture over the last century. The problem seems to have sprung from the worship of Einstein, who was the first to discard verifiable physical laws altogether and propose a wholly mathematical theory. Those who would aspire to a theory of everything are told they must undertake "the gruelling complex and abstract mathematics" required for the task. Who says so? Mathematicians of course. It is a chronically narrow view, like looking through the wrong end of the telescope and imagining you see stars. This view has led to elitism in physics based on mathematical ability. Most bizarre have been those who claim to see God in their own image – as a mathematician. The same expert was later moved to declare, "The mathematician is more akin ..to a chess player than to one endowed with exceptional critical power. The faculty by which a chess expert intuitively sees the possibilities that lie in a particular configuration of pieces on the board is paralleled by that which shows the mathematician the much more general possibilities latent in an array of symbols. He proceeds automatically and faultlessly to bring them to light, but his subsequent correlation of his symbols with facts of experience, which has nothing to do with his special gift, is anything but faultless, and is only too often of the same nature as Lewis Carroll's correlation of his pieces with the Red Knight and the White Queen - with the difference whereas Dodgson recognised the products of his imagination to be wholly fanciful, the modern mathematician imagines, and persuades others, that he is discovering the secrets of nature." To be gifted in mathematical ability does not imply comparable gifts in perception and critical reasoning. We perpetuate a popular delusion, fostered by mathematicians, by equating the two. As a result, theoretical physics has gone nowhere for the past century. Where have the natural philosophers and epistemologists gone? Relativity theory, quantum theory and string theory cannot even claim to be physics. That the equations may appear to work says nothing about the validity of the concepts involved. We need to distinguish between mathematical representations and physical concepts, and we need to subordinate the former to the latter. Often, interpretation of data using these theories involves circular reasoning. Or the analysis may switch unnoticeably between incompatible models, for example between a wave and a particle; or between Einstein's and Lorentz's relativity theory. It did not last; the Devil, howling "Ho! Likewise, quantum theory is purely mathematical and has no connection between cause and effect. A given atom in a radioactive element decays for reasons unknown. It is a probabilistic theory. Einstein was unhappy with quantum theory because of its probabilistic nature. So it is no surprise that quantum theory and relativity theory are incompatible. The noted science fiction author Douglas Adams hilariously parodied quantum metaphysics with his spaceship driven by an "infinite improbability drive." Neither theory has any concept of matter that can explain the effects we observe. This kind of thinking has allowed theoreticians to propose almost anything they can imagine as having some finite probability of occurring. When mathematicians dismiss the physics principles of "every effect must have a preceding cause" and "no creation ex nihilo," we can understand why modern physics and cosmology reads like science fiction. So the recent news from the 23rd Solvay Conference in Physics came as no surprise. David Gross, who received a Nobel Prize for his work on the strong nuclear force and who is a leading light of string theory, admitted "we don't know what we're talking about." "Many of us believed that string theory was a very dramatic break with our previous notions of quantum theory," he said. "But now we learn that string theory, well, is not that much of a break." He compared the state of physics today to that during the first Solvay conference in 1911. Then, physicists were mystified by the discovery of radioactivity. The puzzling phenomenon threatened even the laws of conservation of mass and energy, and physicists had to wait for the theory of quantum mechanics to explain it. "They were missing something absolutely fundamental," he said. "We are missing perhaps something as profound as they were back then. "3 It seems not to have occurred to attendees at the Solvay conference that quantum mechanics explains nothing. It merely provides mathematical probabilities of experimental outcomes. Mathematics can only advance science when the physical concepts are correct. If we want physics to become a real science of the natural world once more, we should not allow mathematicians to take the lead. Mathematics is a useful tool once the physical concepts are correct. Mathematics ain't physics. "We feel clearly that we are only now beginning to acquire reliable material for welding together the sum total of all that is known into a whole, but, on the other hand, it has become next to impossible for a single mind fully to command more than a small specialized portion of it. I can see no other escape from this dilemma (lest our true aim be lost for ever) than that some of us should venture to embark on a synthesis of facts and theories, albeit with second-hand and incomplete knowledge of them - and at the risk of making fools of ourselves." – Erwin Schrödinger, Mind and Matter (1944). Thanks to theoreticians like Gross, we are no further advanced in fundamental understanding of the universe than we were a century ago. If we deal with the real universe of our senses, augmented by modern technology, we stand the best chance of developing the physical concepts leading to a "real theory of everything." Here "everything" is limited in the sense of "everything we can detect and know about at present." For there is a limit to what we can detect and know, not only at the smallest and the largest of scales but also with regard to what we pay attention to and what we overlook at all scales. The "something absolutely fundamental" that is missing in our explanation of gravity and quantum behavior is the electrical structure of matter. Here we are not talking about negative electrons and positive atomic nuclei. We must "go down" one more level and propose that all subatomic particles, including the electron, are resonant structures of electric charges of opposite sign that sum to the charge on that particle. The electron is not a fundamental, point-like particle.4 It must have structure to provide its dipole magnetic field. There must be orbital motion of charges within the electron to generate the magnetic dipole. The transfer of electrical energy between the charges in their orbits must be resonant and near-instantaneous for the electron to be a stable particle. The same model applies to the proton and the neutron. This model satisfies Einstein's view that there must be some lower level of structure in matter to cause resonant quantum effects. We cannot have a theory of everything until we have a workable concept of the structure of matter that satisfies the observation that inertial and gravitational mass are equivalent. When we accelerate electrons or protons in an electromagnetic field they become less responsive to the fields the more they are accelerated. This has been interpreted as an increase in mass. However, charges have no mass. So how do they give the electron, proton and neutron the property of mass? The accelerating electromagnetic field will distort the orbits of charges within the electron or proton. It seems the more distorted a particle becomes, the more easily the energy supplied to accelerate the particle is assimilated in further distortion rather than in acceleration. Hence the apparent increase in mass. The inertial mass of a particle is a measure of the degree to which it responds to an electric field by distorting rather than accelerating. It implies the charge centers of a proton at rest have to be separated more than those in an electron at rest. That allows the proton to distort more readily than an electron in the same electric field and accounts for their differences in size and mass. "What we call mass would seem to be nothing but an appearance, and all inertia to be of electromagnetic origin." – Henri Poincaré, Science and Method. A neutron combines the charges from a proton and an electron in a barely stable resonance, which decays in minutes. Its decay must have a cause and may involve an interaction with a neutrino. However, when combined with protons it seems neutrons form a new stable resonant structure that serves to bind the protons electrically despite the overall positive charge on the nucleus. The notion that matter can be annihilated when normal matter meets antimatter is a confusion of language. Matter can neither be destroyed nor created nor can matter be exchanged for energy. Einstein's E = mc2 refers to mass, a property of matter, not matter itself. The mathematical relationship represents the restructuring of resonant systems of charge. What seems to happen in "annihilation" is that the complementary resonant charge structures of a particle and its antiparticle combine so that almost all of the internal energy is radiated away and the combined charges form a new collapsed particle of low internal energy. The most collapsed form of matter is the neutrino, which has a vanishingly small mass. However, the neutrino must contain all of the charges required to form two particles – a particle and its antiparticle. This symmetry explains why a neutrino is considered to be its own anti-particle. A neutrino may accept energy from a gamma ray to reconstitute a particle and its anti-particle. "Empty space" is full of neutrinos. They are the repositories of matter in the universe, awaiting the burst of gamma-radiation to expand them to form the stuff of atoms. The weird "zoo" of short-lived particles created in particle accelerators and seen in cosmic rays are simply unstable resonant systems of charge. The equivalence of inertial and gravitational mass implies that gravity is also an electrical force. Before Einstein, some noted scientists were suggesting that the gravitational force between neutral particles might ultimately be due to electrical polarization within the particles. In 1882, Friedrich Zöllner wrote in the introduction to his book, Explanation of Universal Gravitation through the Static Action of Electricity and The General Importance of Weber's Laws, "we are to conclude that a pair of electrical particles of opposite signs, i.e. two Weberian molecular pairs attract each other. This attraction is Gravity, it is proportional to the number of molecular pairs." Indeed, gravity can be represented as the sum of the radially aligned electric dipoles formed by all subatomic particles within a charged planet or star. This new electrical concept suggests that Newton's "universal constant of gravitation," or "G," is a dependent variable. G depends upon the charge distribution within a celestial body. Highly charged objects like comets look like solid rock, yet they have a gravitational field that suggests they are fluff-balls. And as they discharge they suffer what is euphemistically called "non-gravitational" accelerations. The extreme weakness of the force of gravity, compared to the electric force, is a measure of the minuscule electric dipolar distortion of nucleons. Gravity cannot be shielded by normal electrostatic shielding because all subatomic particles within the gravitational field respond to the dipolar distortion, whether they are metals or non-metals. What about magnetism? Ampere's law for the magnetic force between two current carrying wires is found to be equivalent to the transverse electric force caused by the distortion of electrons in an electric field. This distortion causes them to form tiny collinear electric dipoles. That is, the magnetic force is simply another manifestation of the electric force. This simple electrical model of matter has the great virtue of reducing all known forces to a single one – the electric force. However, it has a price. We must abandon our peculiar phobia against a force acting at a distance. And we must give up the notion that the speed of light is a real speed barrier. It may seem fast to us, but on a cosmic scale it is glacial. Imposing such a speed limit and requiring force to be transmitted by particles would render the universe completely incoherent. If an electron is composed of smaller subunits of charge orbiting within the classical radius of an electron, then the electric force must operate at a speed far in excess of the speed of light for the electron to remain a coherent object. In fact, it has been calculated that if released, the subunits of charge in the electron could travel from here to the far side of the Andromeda galaxy in one second! We have direct evidence of the superluminal action of the electric force, given that gravity is a longitudinal electric force. Indeed, Newton's celebrated equation requires that gravity act instantly on the scale of the solar system. It has been calculated that gravity must operate at a speed of at least 2x1010 times the speed of light, otherwise closely orbiting stars would experience a torque that would sling them apart in mere hundreds of years. Similarly, the Earth responds to the gravitational pull of the Sun where it is at the moment, not where the Sun was 8 minutes ago. If this were not so, the Earth and all other planets in the solar system would be slung into deep space within a few thousand years. Gravity is therefore an electrical property of matter, not a geometrical property of space. What is the nature of light? Einstein's special theory of relativity was disconfirmed right at the start by the Michelson-Morley experiment, which showed a residual due to the æther. This was later confirmed by far more rigorous repeats of the experiment by Dayton Miller. But by then popular delusion and the madness of crowds had taken hold and contrary evidence would not be tolerated. The Dayton Miller story makes interesting reading. If it weren't for the extraordinary power of self-delusion, commonsense would tell us that a wave cannot exist in nothing. So Maxwell was right, light is a transverse electromagnetic wave moving through a medium, the æther. But what is the æther? In the vacuum of space, each cubic centimetre is teeming with neutrinos. And since neutrinos are resonant orbiting systems of charge, like all matter, they will respond to the electric force by distorting to form a weak electric dipole aligned with the electric field. The speed of light in a vacuum is therefore a measure of the delay in response of the neutrino to the electric force. What about the bending of starlight by the Sun, which discovery raised Einstein to megastar status? The residual found in the Michelson-Morley experiments shows that the Earth and all ponderable bodies "drag" the Æther along with them. The bending of starlight near the Sun is simply the effect expected of an extensive neutrino atmosphere held to the Sun by gravity. Light will be slowed in the denser medium – causing normal refraction or bending of light. What about time? 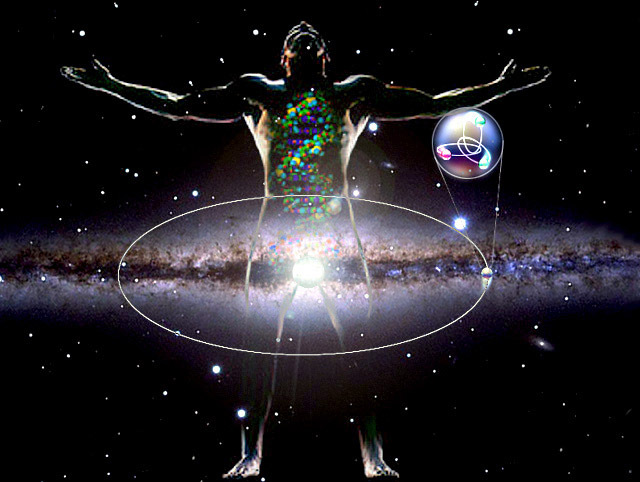 With all bodies in the Milky Way galaxy communicating their positions effectively in real time through the electric force of gravity, it means there is a universal time. There can be no time distortion or time travel – something that common sense always told us. What about black holes? They are a mathematical fiction, a near-infinite concentration of mass, required to explain concentrated sources of energy seen at galactic centers, by employing the weakest force in Nature – gravity. It is the high-school howler of dividing by zero. Plasma cosmology shows that where electrical energy is concentrated at the center of a galaxy, gravity can be ignored in favor of far more powerful electromagnetic forces. The collimated jets of matter coming from that focus are also replicated to scale in plasma labs. The jets are inexplicable if a black hole is supposed to be a cosmic sink for matter. The implications for biological systems in this electrical model of matter are profound. A method of near-instantaneous signalling between resonant molecular structures within cells and on cell walls seems plausible and may provide a way of looking at the mind-body connection and other communications external to the body. It may provide a link between classical physics and the pioneering work of the biologist, Rupert Sheldrake, in biological morphogenesis and telepathy. Also, the work of the outstanding French biologist, Louis Kervran, may gain a working physical model to explain how biological enzymes are capable of transmuting chemical elements at body temperatures. It seems that by exquisite tuning, one resonant system of nuclear charges may be transformed into another. And like the decay of the neutron, ubiquitous neutrinos are implicated as a catalyst. It may be that the answer to our future power needs will be answered when we understand how to extract nuclear energy resonantly instead of by using brute force as we do now. The New Jersey based company, Black Light Power, seems to have stumbled upon a similar process using a resonance between hydrogen and the iron atom. It is interesting that biological systems also use heavy elements like iron and magnesium to perform their minor miracles of transmutation of elements. The electrical relationship between matter and mass allows us to understand how quasars can be newborn objects that have low mass and brightness and high intrinsic redshifts. With time, their mass increases and their intrinsic redshift decreases in quantum jumps. This shows that quantum effects also occur on a galactic scale. It is another powerful argument for the near infinite speed of the electric force. The electrical nature of the universe reveals the currently accepted life story of stars as an elaborate fiction. Stars do not self-immolate. Plasma cosmologists identify cosmic electrical power lines of unknown origin that shape galaxies and light the stars in our small corner of the universe. These findings about intrinsic redshift and electric stars explodes the big bang myth: The universe we can see is not expanding; it is only a small part of the universe that is of unknown extent and unknown age. This outline may seem like the basis for a "theory of everything" but in truth the greatest mysteries remain. We cannot talk sensibly about a beginning of the universe since the mystery of the origin of electric charge and the nature of the electric force remain. Meanwhile, the good news for us on this tiny blue planet is that we are not isolated by time and space in a universe of dark matter that we cannot sense. We are an integral part in real-time of this sensible electric universe. 1. Professor H. Dingle in his Presidential Address to the Royal Astronomical Society in 1953. 2. 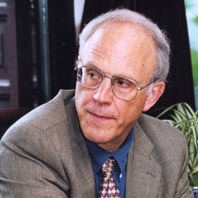 Herbert Dingle, Science at the Cross-Roads. 3. From New Scientist, "Nobel laureate admits string theory is in trouble," 10 December 2005. 4. R. Sansbury, Electron Structure, The Journal of Classical Physics, Jan 1982. (I am indebted to Ralph for his ideas on electron structure and the electrical origin of magnetism and gravity).